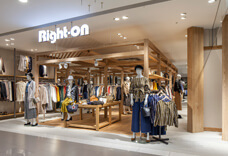 Store-Opening Strategy | COMPANY | Right-on Co., Ltd. 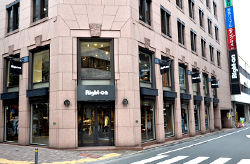 The Right On retail network encompasses jeans specialty shops in all 47 prefectures of Japan. 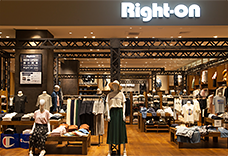 Every Right On store strives to be the leading jeans retailer in the local area in terms of customer satisfaction, as part of our commitment to providing the best possible in-store experience for our customers. 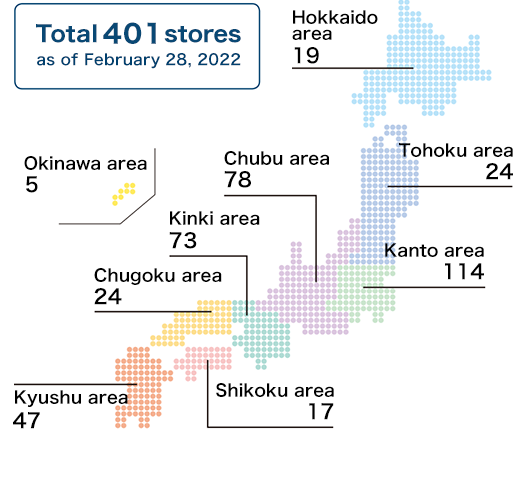 The retail network also includes overseas outlets, with plans for further expansion both in Japan and overseas in the near future. New store locations are chosen carefully to maximize visitation numbers. The aim of every Right On outlet is to be the leading jeans retailer in the local area. 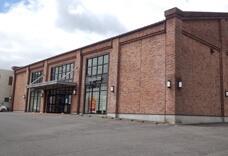 To make a store No. 1 in its local area, it is important to ensure that the product MD is aligned with local conditions and sensibilities and that the in-store offering is consistent with customer expectations. Store staff, meanwhile, must treat all customers with kindness and respect, be highly knowledgeable about the products, and possess excellent communication skills. Right On has experience with a wide range of retail outlet formats and configurations. The aim is to place each outlet in the most prominent commercial facility (or shopping center) or commercial precinct within a town or region. Interior design and layout are carefully tailored to the nature of the store and/or commercial facility in order to maximize product appeal. 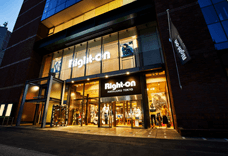 The majority of Right On outlets are located in large shopping centers and commercial facilities, where the synergy effect of many shops in a single location translates into strong visitation numbers. Right On outlets in railway station buildings benefit from substantial volumes of passing foot traffic. 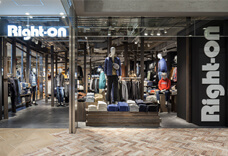 They tend to be tailored to more exacting customer needs and expectations, offering a unique mix of on-trend fashion lines as well as Right On merchandising. Outlets in key inner-city sites are an important component of the Right On branding strategy. 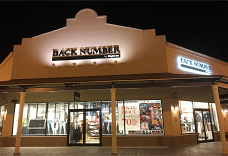 Inner city outlets tend to have more specialized on-trend product offerings tailored to the tastes and expectations of the inner-city market. Suburban outlets are larger stores located in the outer suburbs, where there is generally ample space for parking. With the extra floor space, suburban outlets are able to accommodate a wider range of products zoned by category for an enhanced shopping experience. We are committed to growing the business by opening new stores. Right On is involved in collaborations with a number of LA lifestyle shops, primarily in the urban surf casual space. 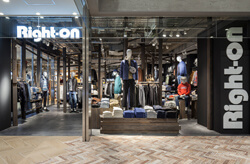 The flagship city store is ideally located as the focal point of Right On branding, with an onsite media section operating alongside the retail outlet. The media section coordinates a variety of initiatives including pop-up stores staged in conjunction with leading brands and promotional events involving well-known celebrities. 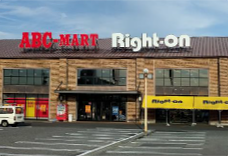 A collaboration between Right On and ABC Mart has produced a number of combined outlets. 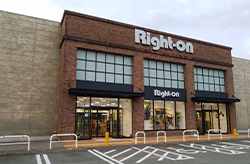 Right On has recently opened a new store at the Ami Premium Outlets shopping center, and we are looking to open more stores at similar retail outlet facilities in the future. 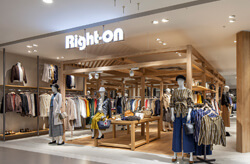 Taiwan was selected as the location of the first Right On store outside Japan. There are plans to expand the overseas network further as part of a concerted effort to build the Right On brand.